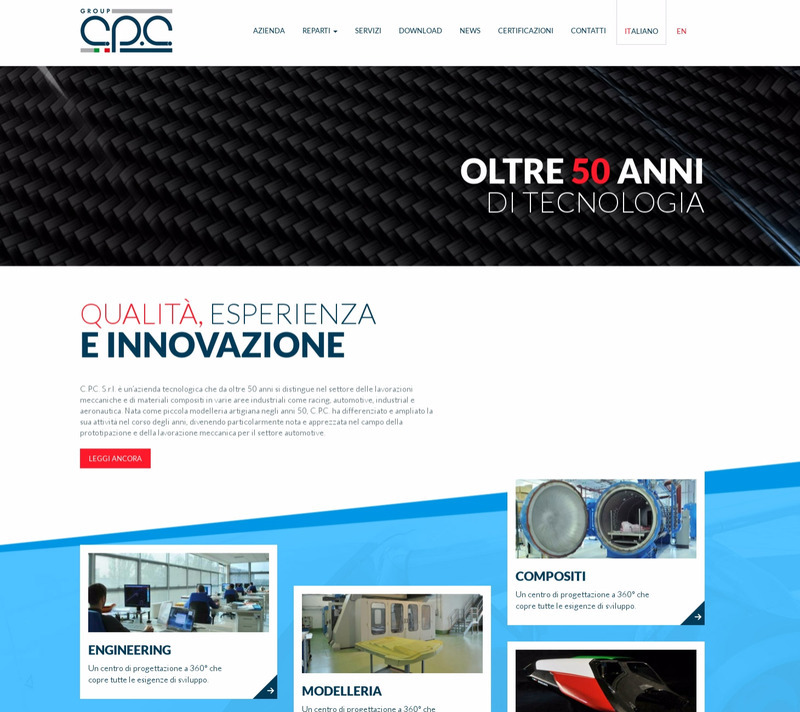 Our company has completely renewed the previous website, transforming it into a modern portal with new contents and services: cpcgroup.it is live! On this new portal, you will find all the information about our company: from the latest technological innovations in the field of carbon fiber processing, until photo and video galleries of our constantly evolving production departments. The choice of renovating our web image is consistent with our mission: innovation and continuity. This means that the new portal aims to offer a new experience in terms of design, using the latest technologies in order to give each user a fully “responsive” mobile experience, while maximizing the comfort of consultation also by smartphones and tablets. We are pleased to welcome our regular users and new visitors in this new “virtual headquarter” and we invite everyone to follow us by subscribing our newsletter and following our social channels, to stay always updated on the latest news.